For Starbucks Chairman/ CEO Howard Schultz, waiting for Washington to come up with tangible plans to generate more jobs is not a likely course of action these days. For Starbucks Chairman/ CEO Howard Schultz, “waiting for Washington” to come up with tangible plans to generate more jobs is not a likely course of action these days. To get the ball rolling on a grassroots level, Starbucks Coffee Co. has partnered with the Opportunity Finance Network to launch “Create Jobs for USA.” The effort will pool donations from Starbucks customers, employees and concerned citizens into a nationwide fund for community business lending. Starting Nov. 1, Create Jobs for USA will accept donations online at www.CreateJobsforUSA.org and at nearly 6,800 company-operated Starbucks stores in the United States. 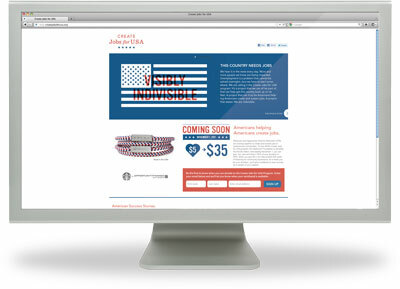 Donors who contribute $5 or more will receive a red, white and blue wristband with the message “Indivisible.” The wristband is designed to serve as a symbol of Americans uniting with other Americans to help create jobs, according to Starbucks. All the donated funds to Opportunity Finance to help fund loans to community businesses, including small businesses, microenterprises, nonprofit organizations, commercial real estate and affordable housing. Opportunity Finance represents a nationwide network of 180 community development financial institutions set up to provide financing to community businesses in underserved markets where accessing credit through traditional lending institutions is challenging or not available. Nearly a dozen credit unions belong to the network. The Create Jobs for USA fund will be seeded with a $5 million contribution from the Starbucks Foundation. Every $5 donation will result in $35 in financing to support community businesses and the CDFI community lenders will issue $30 in financing, on average, for each $5 donation through their respective financing sources, according to Starbucks. The company said, based on conservative forecasting models developed by Opportunity Finance with input from independent economists, one new job will be created or retained for approximately every $21,000 in loans or approximately every $3,000 in donations. Starbucks said since CDFIs in the network have an average 98% loan repayment rate, virtually every $1 donated will be re-loaned. Opportunity Finance Network President/CEO Mark Pinsky said the discussion to partner with Starbucks came about nearly two years ago. Pinsky served on a board with one of the coffee company’s directors. He discovered that both entities shared a common thread of helping communities. Fast forward to this summer when Schultz expressed his concerns about the nation’s unemployment crisis. After a Sunday afternoon meeting, possible solutions were bandied about that eventually spawned the Create Jobs for USA effort. Pinsky said CDFIs must be a member of Opportunity Finance to be eligible to receive the funds to distribute to small businesses. The financial institutions will go through a screening process to ensure that they have a strong lending track record and a healthy pipeline of transactions. The money raised will be used by lenders as net worth, which will then be used as capital by small businesses, he explained. While no specific goals have been determined yet, Pinsky said he is expecting millions of dollars to come through the donations over a period of months. On the Create Jobs for USA website, the donations and number of jobs created will be tracked and posted. “We want to be very transparent. Within 30 days of the money coming in, we want to turn it out” to small businesses, Pinsky said, adding that after a year of collecting donations, an audit will be conducted and the results will be posted. The $73 million Alternatives Federal Credit Union in Ithaca, N.Y. was one of the first credit unions to join the network, said CEO Tristram Coffin. Coffin said Alternatives has been active in the small business sector and as a result, business lending for the cooperative is up four-fold since last year. “Create Jobs for USA is not charity. It’s not a handout. Instead, it is a peer-to-peer job creation initiative that will draw its power from the millions of Americans who come to Starbucks every day for community and coffee,” Schultz said.